If you’re a Tesla owner, you may have woken up to a faster car this morning. It’s a bit unusual to get a message from Tesla about its updates. Usually it takes a peep at Elon Musk’s Twitter feed, a rereading of the standard features list, or an owner posting about the latest over-the-air update onto a Tesla forum to hear about what's going on in Musk's world. In this case, Tesla seems pretty happy with itself because it decided to announce its latest features rollout directly. One of the coolest parts of that update will affect all current owners of the 75 kWh Model S and Model X. 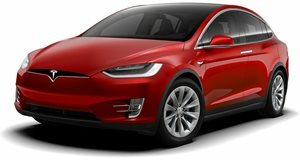 Thanks to an over the air update, Tesla has managed to extract better acceleration out of the 75 kWh battery, allowing for all vehicles equipped with it to accelerate 1 second faster than they were previously able to. 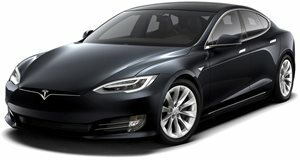 That means the Model S 75D can now hit 0-60 mph in 4.2 seconds, down from 5.2 seconds. Things get even better for the rear-wheel drive Model S 75, which sees its time drop from 5.5 seconds down to 4.3 seconds. Over on the SUV side of things the Model X 75D can now hit 0-60 mph in 4.9 seconds, down from an even 6 seconds. Additionally, Tesla has upgraded its suite of standard hardware across the lineup. Model S and Model X buyers now have Tesla’s Smart Air Suspension system as a standard feature. This improves handling, comfort, and efficiency while a few lines of code enable the system to adjust ride height based on the vehicle’s location. That means if your Model S scraps its front end every time you head up the driveway, it can be set\ to rise to maximum ride height when approaching the area to avoid listening to those batteries grind away. For the Model X, Tesla is also offering a new seven-seat configuration that allows the second and third row seats to fold flat for added cargo space. As useful as these changes are, Tesla may have used politics as a motivation for the change. After all, faster acceleration and more significantly useful standard features all help to make the two cars Tesla currently produces a better value. That should help sway some disgruntled and impatient Model 3 holders over to the higher-trim versions. And one more thing. If that overhead glass roof wasn’t enough to cure you of seasonal depressive disorder, order away on the Tesla Configurator happy with the knowledge that now both the Model S and Model X can be had with rich cream interiors. Guess all of this helps justify the fact that Tesla recently removed its least expensive Model S from the menu, eh?